Veteran journalist Carl Bernstein on Friday accused Trump lawyer Rudy Giuliani of trying to "throw bombs" into special counsel Robert Mueller's investigation into possible collusion between the Trump campaign and Russia. "Rudy Giuliani is capable of being so reckless as we have seen throughout the campaign and as we are seeing now, that it is very difficult to parse what he is doing and saying, except that he is trying to throw bombs into the Mueller investigation," Bernstein said on CNN's "Anderson Cooper 360." Bernstein's comments came after Giuliani, one of the newest additions to President Trump's legal team, sought earlier Friday to explain and clarify a series of interviews he did with Fox News this week in which he appeared at times to contradict the president. Among the claims that Giuliani made was that Trump fired former FBI Director James Comey last year because the top cop would not publicly say that the president was not a target of the Russia investigation. 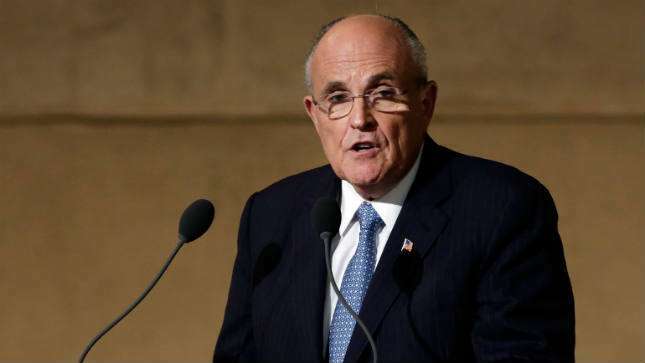 In a statement on Friday, Giuliani appeared to back away from that statement, saying that the president's decision to dismiss the FBI director fell well within his powers under Article II of the U.S. Constitution. Trump fired Comey in May 2016 for what he initially said was the FBI director's handling of the investigation into Hillary Clinton's use of a private email server during her tenure as secretary of State. But Trump later acknowledged that he took the FBI's Russia investigation into consideration when he made the decision to dismiss Comey. Comey's ouster prompted Deputy Attorney General Rod Rosenstein, the most senior Justice Department official overseeing the Russia probe, to appoint Mueller as special counsel. Trump has denied that there was any coordination between his campaign and Moscow, and has called Mueller's investigation a "witch hunt" and a "hoax."